Amazing 3 bedroom apartment with wonderful panoramic views. 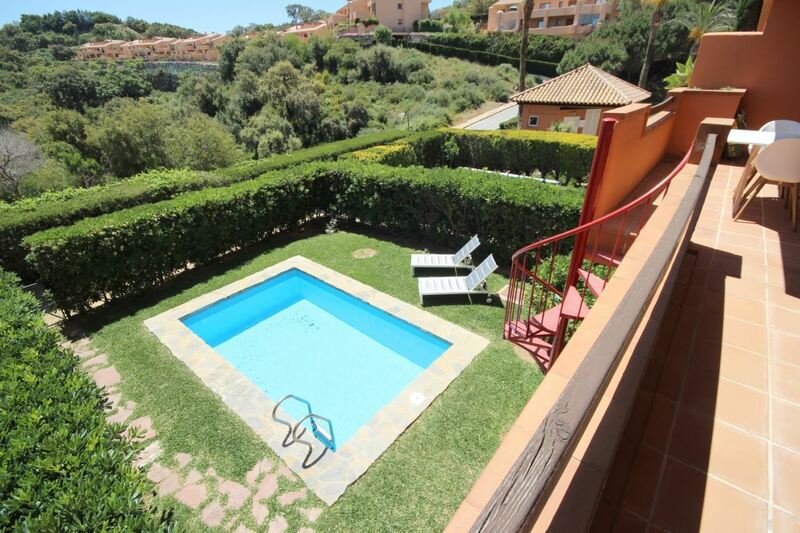 This duplex ground floor has a big covert terrace on the top floor and a private garden with pool in the lower level. Located in one of the best complex in the area, totally gated, with several communal pools and lovely extensive garden areas. Equipped with 3 large bedrooms, one of them with its own en suite bathroom, a fully fitted kitchen with laundry area and a spacious living room, with a built in dinning area, that communicates with the terrace through big sliding glass doors, this apartment is ideal for families and friends. Situated in La Mairena, qualified by the UNESCO as a Biosphere Reserve. Its marvellous green surroundings and its peace and tranquillity, makes it the perfect place to come and enjoy your holidays.